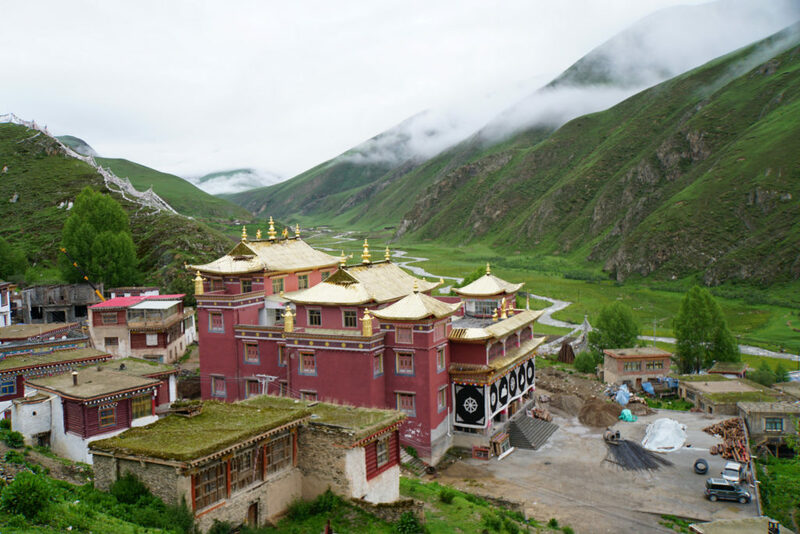 These photographs from Surmang Dutsi Til, taken by Wendy Nelson and Eric Savage, show how much the monastery has grown, since the Konchok Foundation began construction on the Surmang Shedra over a decade ago. 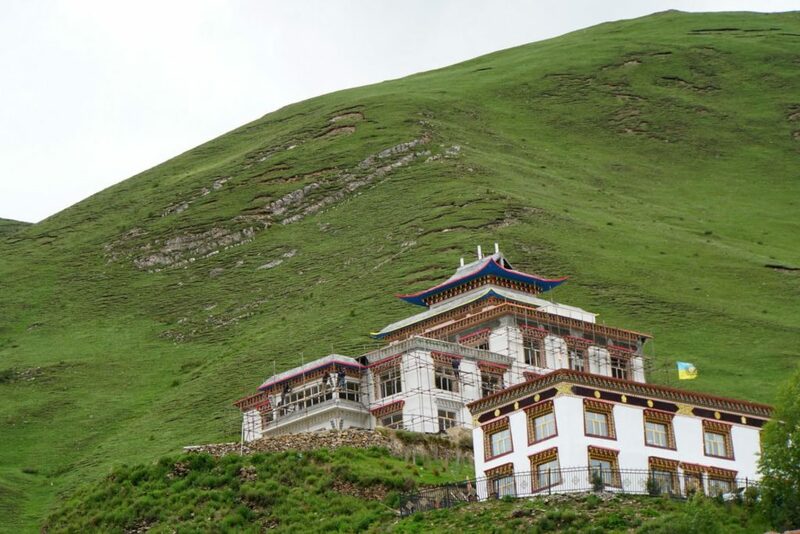 The new Kargenma building is nearing completion and stands high on the hilltop above the monastery, where the original palace–which Chögyam Trungpa Rinpoche lived in during his youth–once did. 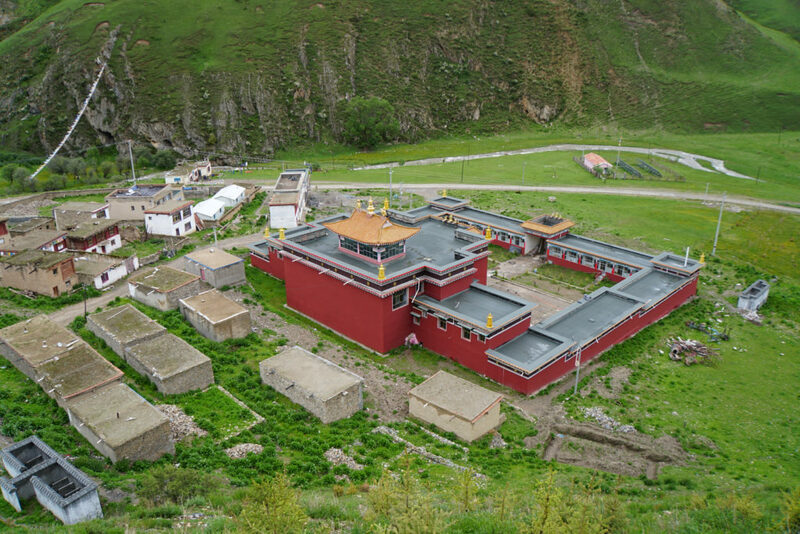 Below it is the current residence of the Twelfth Trungpa, Chökyi Senge Rinpoche, who will move into the Kargenma after it is finished. The new Lhakang, or main assembly hall, is also close to completion. The old assembly hall was demolished following the 2010 Jyekundo earthquake out of concerns for structural weakness. It now stands tall at the center of the monastery, with golden roofs and a view of the valley and village below. New buildings have also sprung up behind the Surmang Shedra complex, which is already structurally complete and is now having final detail work performed. 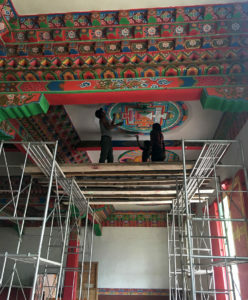 For example, mandalas are now being painted on the ceiling of the shedra shrine room. 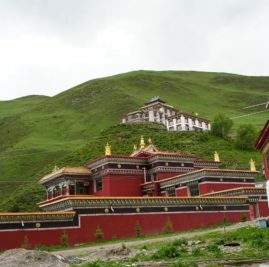 The shedra complex has been in use for several years for the Children’s Education Program, training for young monks, and rituals by the monastic community during the Lhakhang construction. A more detailed update is on its way after a group of Konchok Foundation board members visit Surmang Dutsi Til this August.